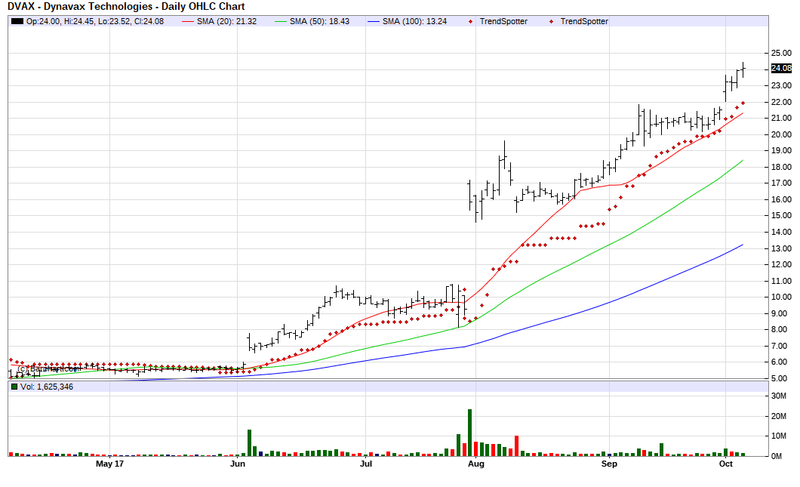 The Chart of the Day belongs to Dynavax Technologies (DVAX). I found the biomedical stock by using Barchart to sort the 52 Week High list first for the highest Weighted Alpha, then again for technical buy signals of 80% or more. I always use the Flipchart feature to review the charts for consistent price appreciation. 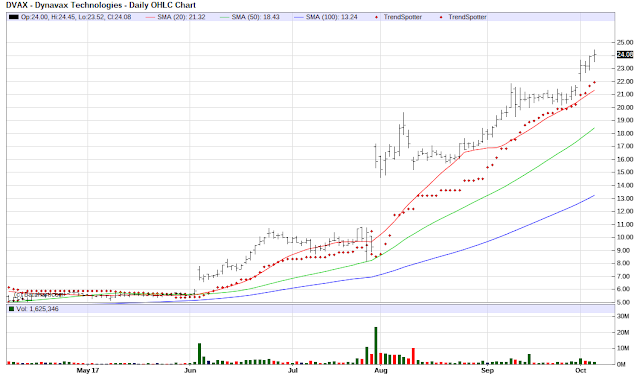 Since the Trend Spotter signaled a buy on 7/31 the stock gained 51.89%.